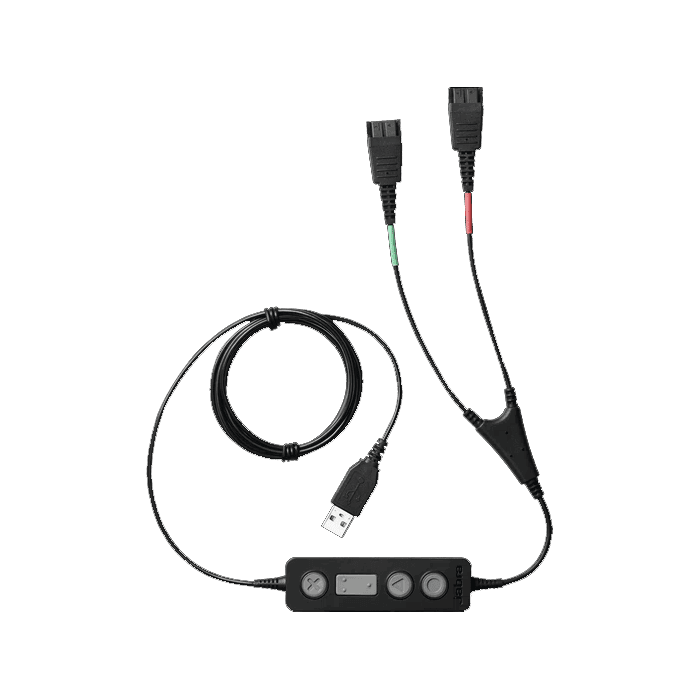 Jabra LINK 265 USB/QD Y-Cable - 265-09 - Headsets Direct, Inc. Easily train and listen into softphone and VoIP calls with two headsets with the Jabra LINK 265 training cable. 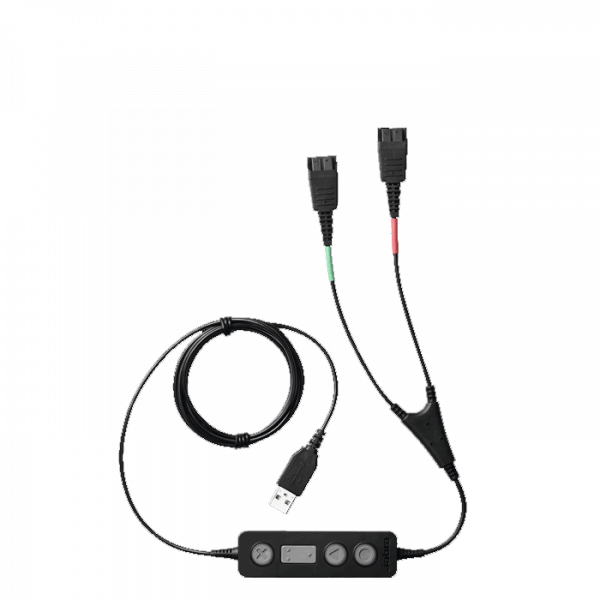 Jabra LINK 265 USB/QD Y-training cable connects two Jabra Quick Disconnect (QD) headsets to one PC, so supervisors can either stay muted or join the conversation.